The Cross Hatch Cutter is a multi-blade cutting tool which enables an assessment to be made of the adhesion resistance of coatings to separation from substrates. The Cutter size to be used is determined by the coating thickness - the 1mm Cutter is suitable for coatings under 60 microns, and the 2mm Cutter is suitable for coatings over 60 microns. 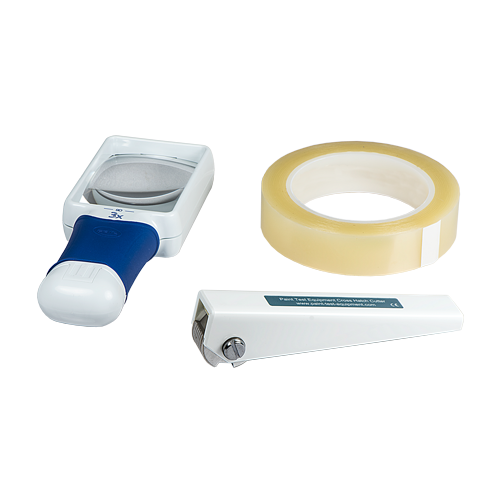 It is supplied in an industrial carrying case with adhesion test tape 25mm and a x3 illuminated magnifier.